EDGE's score was nine wasn't it Emmi? Gametrailers are not that special game reviewing websites like Gamespy, Gamespot, IGN. Preety strange seeing they had that full episode about Max and Geoff seemed preety excited. no it was 7! Also 4players.de, a german site reviewed the game with a 70/100 score. I don't know what they have, maybe they just expect things from Max Payne that a Max Payne game just doesn't have and doesn't need, like more variation in gameplay. 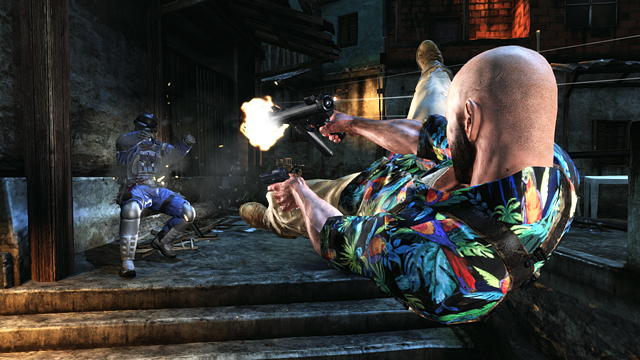 Max is all about shooting, that should be known since Max Payne 2 at the latest. Anyway I'm not paying too much attention on these review scores. Everyone feels different about a games quality. I'm sure I'll enjoy the game and will give it a 9/10 at the minimum.